And more trivial local interesting food stuff. Because every year I get drawn in by the signs on Rte. 32 that tell me Jenny’s market has fresh lima beans. Shelled by the patriarch of the family. If you have ever shelled lima beans, you know you do much work to get those tasty beans out of their shells. 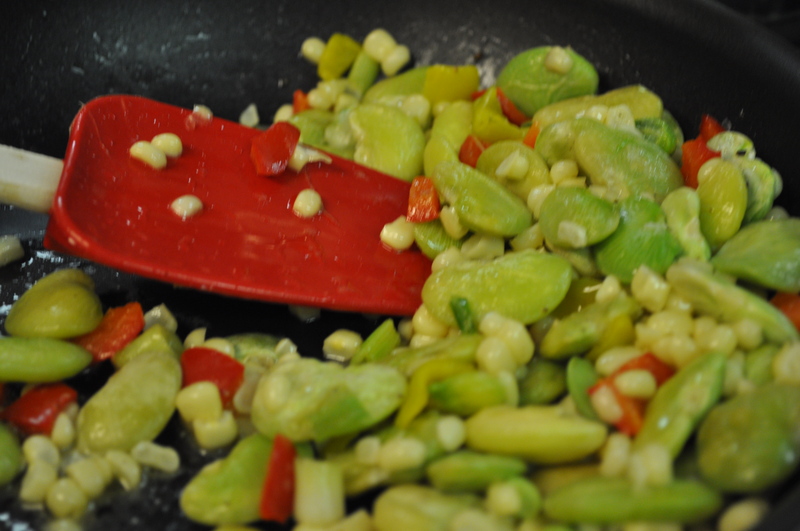 The beans, corn and scallions in today’s version of succotash come from Jenny’s. The red pepper, from my CSA. The cornerstone of one absolutely delicious Sunday dinner. Fingerlings from the CSA. Salmon from a trip to Wegmans. Wines? 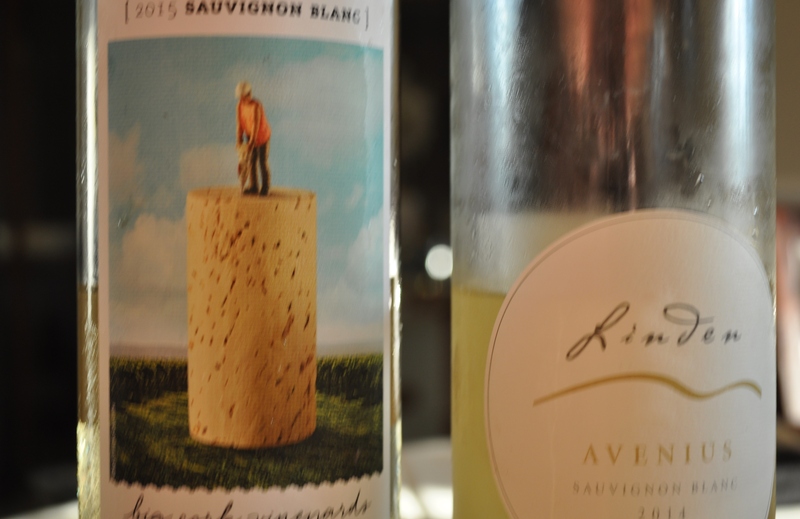 A local Sauvignon Blanc throwdown. I liked the Linden one. My husband, the Big Cork. 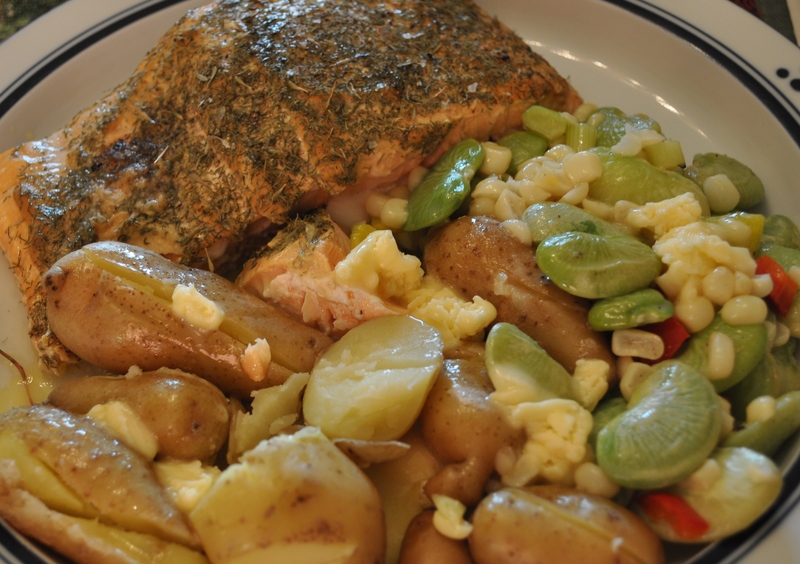 To me, around here, summer is always about fresh food. Bought locally. Prepared simply. Posted in CSA, Food, LFFC, Local Businesses, Locavore, Real Food and tagged cooking, CSA, Food, foodie, local businesses, Locavore, real food. Bookmark the permalink. Ironically, we ate more local produce last winter than this summer, mainly because we were subscribed to a larger CSA share. If the trend goes as in previous years, the shares for our current CSA will be larger in the fall. I tried corn on the cob raw this summer and found I preferred it that way! It never occurred to me to try it raw until I saw a video on Facebook of a farmer eating it freshly picked in a field.